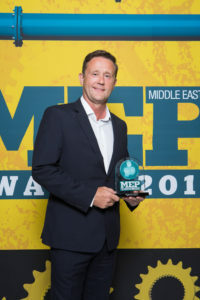 Black & White Engineering has won the MEP Consultancy of the Year 2018 at the 12th Middle East awards thanks to its “right first time” culture, commitment to delivering innovation, strong client relationships and high calibre staff retention through professional development. At Black & White we understand that one size does not fit all. Avoiding over-design by early implementation of client requirements, ensures efficient systems and energy saving designs which contribute to our client’s success. Our unique one team culture ensures all parties are aligned and projects are delivered on time and within budget by incorporating a design-and-build philosophy and a collaborative approach. We employ the best engineers and BIM technicians who ensure the ability to enhance projects. Employing over 150 people based in Asia, Europe and the Middle East, no matter where an employee is based, we work as one team to ensure the delivery of a high-quality project. Keeping abreast of new technologies, more compact equipment, new maintenance ideas etc. allows us to suggest more customised solutions to buildings and spaces. Our innovative team constantly looks for smarter, boundary testing options, allowing B&W to deliver best-in-class buildings. Our team’s mix of experience from graduates to seasoned engineers provides balanced outcomes resulting in three previous MEP Innovation Awards. In terms of initiatives undertaken in the last 12 months, the firm is offering graduate training schemes for promising young students in the Philippines. The scheme offers the students a chance to gain academic qualifications and a vital opportunity to commence a career with Black & White. We also sponsor the academic qualifications of engineers in the UK and offer work experience for engineers looking for a chance to experience working overseas. Having recently backed a UK training programme aimed at providing young students the relevant skills our industry currently needs, we are helping shape the talent of the future and inspire young people to consider a career in the world of construction. At B&W we are committed to bringing global best practice to the Middle East. We have a comprehensive Integrated Management System which governs our quality, health & safety and environmental processes. We are fully committed to QSE, which can be demonstrated through our 2018 accreditation to ISO 9001:2015, ISO 4001:2015 and ISO45001:2018 standards. This achievement provides a guarantee that we have reached an exceptional level of proficiency, assuring clients of our credibility, our compliance, our dependability and our quality of output and service. We are proud to be amongst the first engineering consultancies worldwide to be certified in these three high-level standards. The success of our commitment to health and safety is demonstrated by a ’zero accident’ record for both our employees and the sites in which we have been responsible for site supervision. These are some of the factors that impressed the judging panel in what was a highly contested category at the Middle East MEP Awards 2018, that took place on 7 November 2018 in Dubai, UAE.